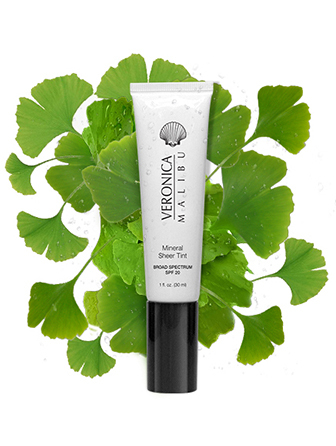 The ultra-sheer Veronica Malibu Natural Glow Mineral Tint is a multi-task moisturizer, sunscreen and antioxidant lotion that evens out your complexion and gives you a summer glow. 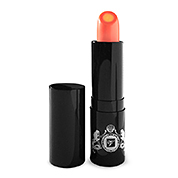 Exclusive Multi-Mineral Complex enriched with magnesium, Potassium and Zinc helps protect skin. Vitamins A & E condition and protect skin. 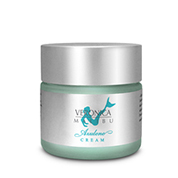 Antioxidants Ginseng Root Extract & Ginko Biloba leaf Extract protect your skin. It will be your go to makeup, I promise. A Malibu Favorite! Apply daily prior to sun exposure, with either finger tips or a foundation brush, starting at the center of the face blending outward and down to the neck..
Great to wear alone or add to your foundation to give it some hydration and a sun kiss glow-just add a pump!